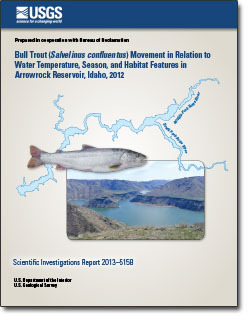 Maret, Terry R.; Schultz, Justin E.
Bull trout (Salvelinus confluentus) movement in relation to water temperature, season, and habitat features in Arrowrock Reservoir, Idaho, 2012; 2013; SIR; 2013-5158; Maret, Terry R.; Schultz, Justin E.
Optimization of water-level monitoring networks in the eastern Snake River Plain aquifer using a kriging-based genetic algorithm method; 2013; SIR; 2013-5120; Fisher, Jason C.
Recharge sources and residence times of groundwater as determined by geochemical tracers in the Mayfield Area, southwestern Idaho, 2011–12; 2013; SIR; 2013-5115; Hopkins, Candice B.
Bathymetric surveys of the Kootenai River near Bonners Ferry, Idaho, water year 2011; 2013; DS; 694; Fosness, Ryan L.
Clark, Gregory M.; Fosness, Ryan L.; Wood, Molly S.
Sediment transport in the lower Snake and Clearwater River Basins, Idaho and Washington, 2008–11; 2013; SIR; 2013-5083; Clark, Gregory M.; Fosness, Ryan L.; Wood, Molly S.
Wood, Molly S.; Teasdale, Gregg N.
Use of surrogate technologies to estimate suspended sediment in the Clearwater River, Idaho, and Snake River, Washington, 2008-10; 2013; SIR; 2013-5052; Wood, Molly S.; Teasdale, Gregg N.
Williams, Marshall L.; Etheridge, Alexandra B. 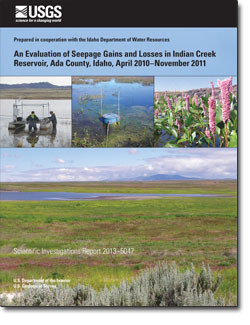 An evaluation of seepage gains and losses in Indian Creek Reservoir, Ada County, Idaho, April 2010–November 2011; 2013; SIR; 2013-5047; Williams, Marshall L.; Etheridge, Alexandra B. 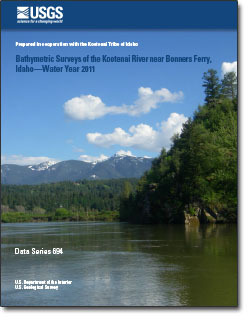 Champion, Duane E.; Davis, Linda C.; Hodges, Mary K.V. 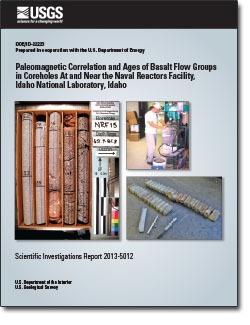 ; Lanphere, Marvin A.
Paleomagnetic correlation and ages of basalt flow groups in coreholes at and near the Naval Reactors Facility, Idaho National Laboratory, Idaho; 2013; SIR; 2013-5012; Champion, Duane E.; Davis, Linda C.; Hodges, Mary K. V.; Lanphere, Marvin A. 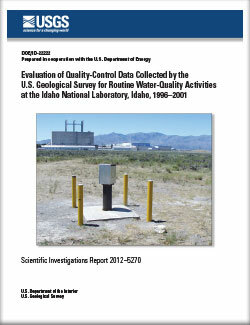 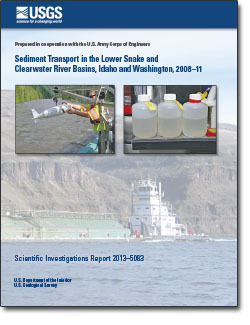 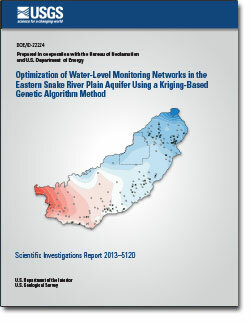 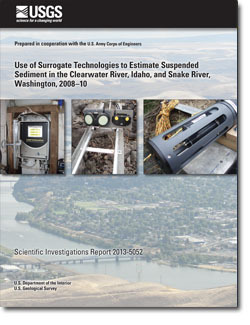 Evaluation of quality-control data collected by the U.S. Geological Survey for routine water-quality activities at the Idaho National Laboratory, Idaho, 1996–2001; 2012; SIR; 2012-5270; Rattray, Gordon W.
Paul, Angela P.; Paretti, Nicholas V.; MacCoy, Dorene E.; Brasher, Anne M.D. 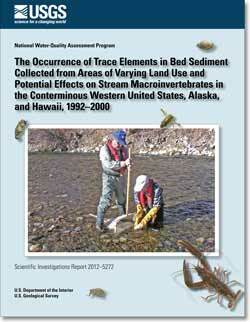 The occurrence of trace elements in bed sediment collected from areas of varying land use and potential effects on stream macroinvertebrates in the conterminous western United States, Alaska, and Hawaii, 1992-2000; 2012; SIR; 2012-5272; Paul, Angela P.; Paretti, Nicholas V.; MacCoy, Dorene E.; Brasher, Anne M.D. 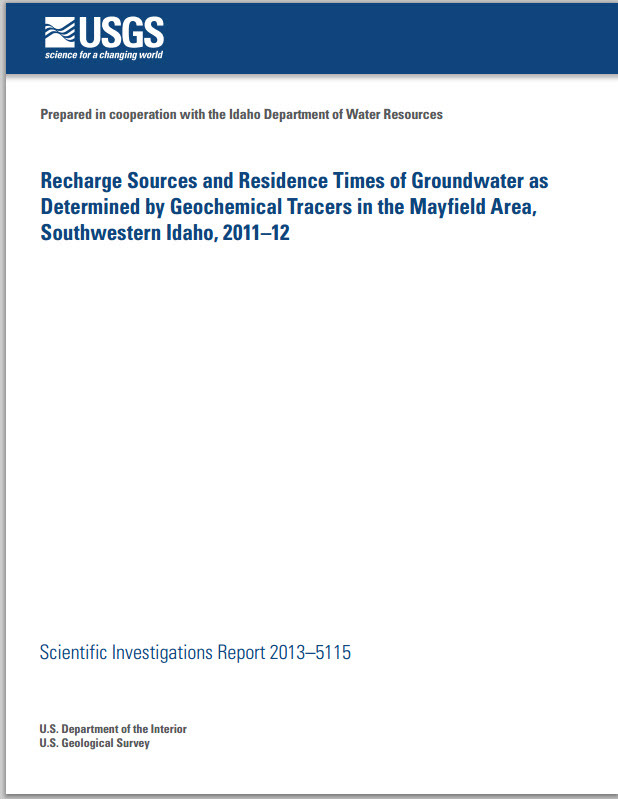 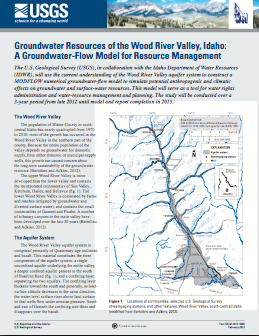 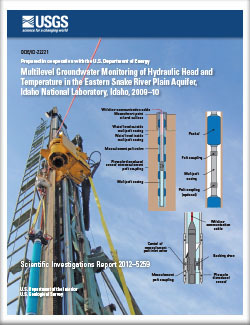 Multilevel groundwater monitoring of hydraulic head and temperature in the eastern Snake River Plain aquifer, Idaho National Laboratory, Idaho, 2009–10; 2012; SIR; 2012-5259; Twining, Brian V.; Fisher, Jason C.